This is a book that I don’t think I would have read if it weren’t for Goodreads. I probably would never have even heard of it. Technically, I suppose this obscure novel would be considered “historical fiction,” but that’s misleading. 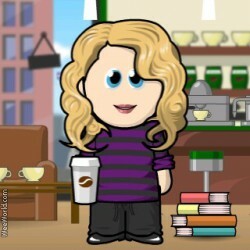 It is that, but it is also biography, philosophy, meditation, poetry. Hadrian was Emperor of Rome from AD 117 to 138. 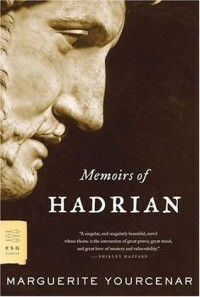 Marguerite Yourcenar wrote this novel in the form of a memoir, written by Hadrian near the end of his life and addressed to then 17-year old future emperor Marcus Aurelius. Hadrian discusses his public role and his attempts to use diplomacy more than bloodshed. By the standards of the Roman Empire, his reign was considered peaceful (this in spite of a war with the Jews resulting in hundreds of thousands of deaths and the banishment of the Jewish people from Jerusalem). Most of the emperor’s recollections, however, focus on the personal, even the trivial. He reflects on moderation in diet, his love of hunting, and his admiration for Greek culture. With a reserved tone that belies his depth of feeling, he relates his love for the young Bithynian, Antinous, and his sorrow at Antinous’ death. Hadrian deals with his grief by deifying the youth and creating a cult which long outlasts them both. 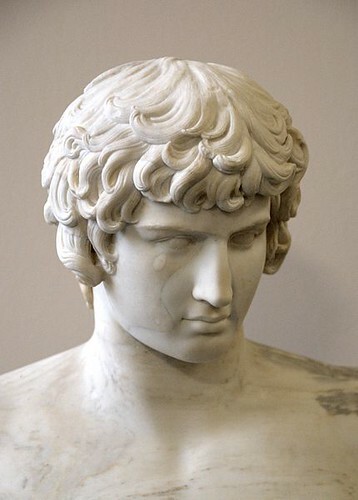 There must be hundreds of statues of Antinous in the world’s museums today, a testament to an emperor’s attempt to cope with a very personal sorrow. Yourcenar seems to channel this character of antiquity, speaking with an authentic dignity and distance that is not modern in feel. Hadrian speaks to us, but not in a tell-all confessional. In her notes on the writing of the novel, Yourcenar quotes from Flaubert about the period when Hadrian lived, “Just when the gods had ceased to be, and the Christ had not yet come, there was a unique moment in history, between Cicero and Marcus Aurelius, when man stood alone.” Her Hadrian is a man of that age, not ours. The mood of this book is quiet, thoughtful, and peaceful. 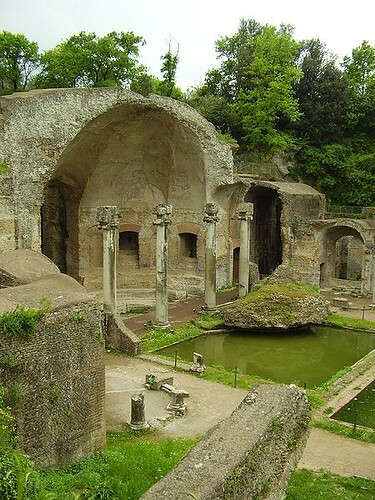 It evokes the feeling of walking among ancient ruins, with the eerie sensation that comes when other tourists are out of view, as the warm Italian sun gleams off fragments of stone, and for a moment there is a strange perception that the ruins are whole again, with time somehow distorted.